When Jade is given a scholarship to an elite private college in Connecticut, she sees it as a chance to finally escape her painful past and get a fresh start. She’s determined to succeed and that means keeping her focus on school and not guys. But her plan falls apart her first day on campus when Garret, a rich prep school boy with swimmer abs and a perfect smile, offers to help her move in. Jade tries to push him away, but she can’t deny her attraction to him and Garret won’t let her. Things quickly heat up between them, but then come to a sudden halt when reality hits and Jade realizes that a relationship with Garret may never be possible. He comes from a world of wealth where there are rules, including rules about who he can date. And not following those rules has consequences. 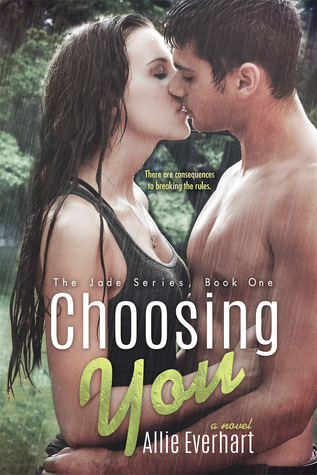 As the two of them try to overcome the obstacles working to keep them apart, Jade is confronted with another challenge. On her 19th birthday, she receives a letter that her now deceased mother wrote years ago. In it are revelations that explain her traumatic childhood but also make her question the past she’s been running from. As soon as I start running, I feel the calmness I was craving. I get lost in the repetition of my movement around the oval track and I lose all sense of time. After a while the sun is really hot and I realize that it’s probably way past noon. I take a break and sit at the side of the track, completely soaked in sweat. I turn to see Garret walking toward me in navy athletic shorts and a gray t-shirt. It looks like he’s been running, too, although he’s not nearly as sweaty as me. He sits down next to me. As in right next to me. Can he not see how sweaty I am? I’m sure he can smell me from 10 feet away. I can’t even stand the smell of myself. So that’s why he has that body. He’s a swimmer. That explains the broad shoulders and narrow waist V shape he’s got going on. I never turn down a challenge. Well, sometimes I do, but it’s rare. “I’m a distance runner, not a sprinter. But a distance runner can beat a swimmer any day. This should be easy.” I stand up, stretching my legs which are stiffening up after my short break. His jaw basically drops to the ground. I’ve just insulted both him and something that’s near and dear to his heart. Apparently this has never happened to him before. Pretty boy must be used to only getting compliments. “Yeah, why?” For some reason, I’m really loving insulting this guy. He sets himself up in lane one of the track. I take my sweet time walking over to lane two, yawning just for added effect. “Do you need a head start?” I ask him, stretching my arms behind my back. I take off down the lane, my eyes straight ahead pretending he’s not there. I quickly round the first end of the track and hit the straightaway. I imagine myself running far away from that place. Running back home and seeing Frank and Ryan again. I round the next end and keep running. “Stop! We’re done!” I hear Garret’s voice and slow down, noticing that I’m already halfway through a second time around the track. I finish the loop and meet up with him again. He’s bent over, hands on his knees trying to catch his breath. “Okay, I admit it. You’re fast,” he says, panting as sweat drips off his face. “Nah. I ran cross country in high school. Now I just run when I’m stressed.” It’s true, but I wish I hadn’t said it. It makes me sound weak and I hate sounding weak, especially around a guy. Allie Everhart writes about dating, love, and romance. 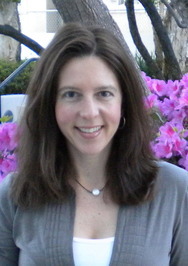 She’s also a freelance writer for magazines and websites. Before freelancing, she was a book editor for a publishing company where she worked on several NYT bestselling nonfiction books. She loves to read as much as she loves to write. And when she’s not reading or writing, she’s outside running, which is when she gets her best book ideas. This sounds really good! Definitely going to grab a copy! Sounds good and the cover is hot! The book sounds awesome! Love the cover! Awesome!! I wanna read this book. Love the excerpt! !